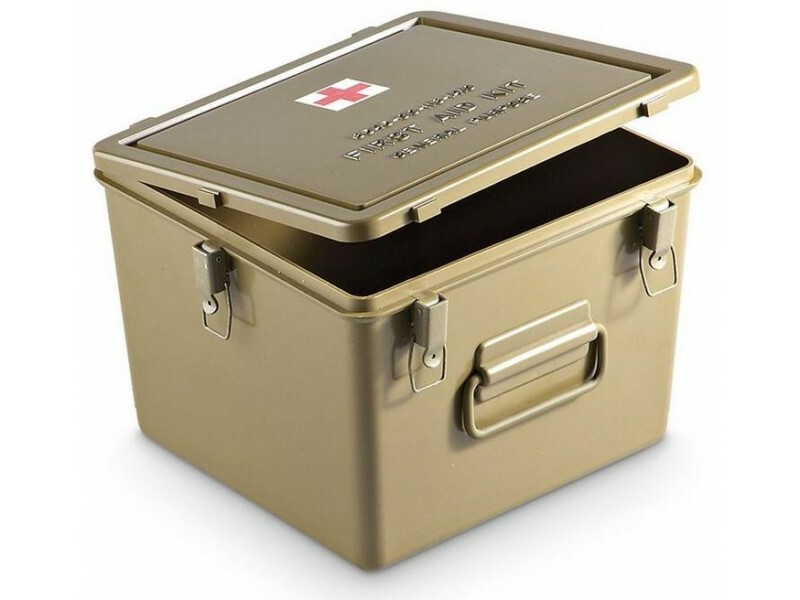 This waterproof box is a great place to start building up your first aid kit. 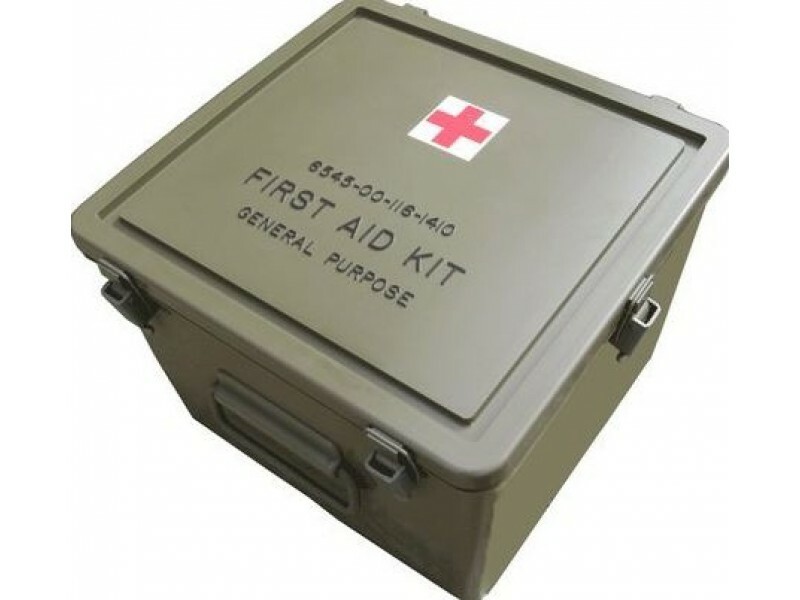 This was exactly the same type of box used for general-purpose first aid in military, aircraft and boats. 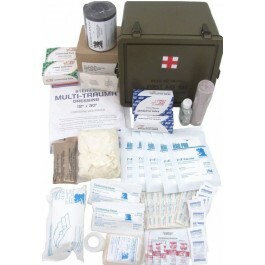 This box holds 317-piece kit designed for front line trauma as well as basic first aid, but feel free to design your own by adding more items. 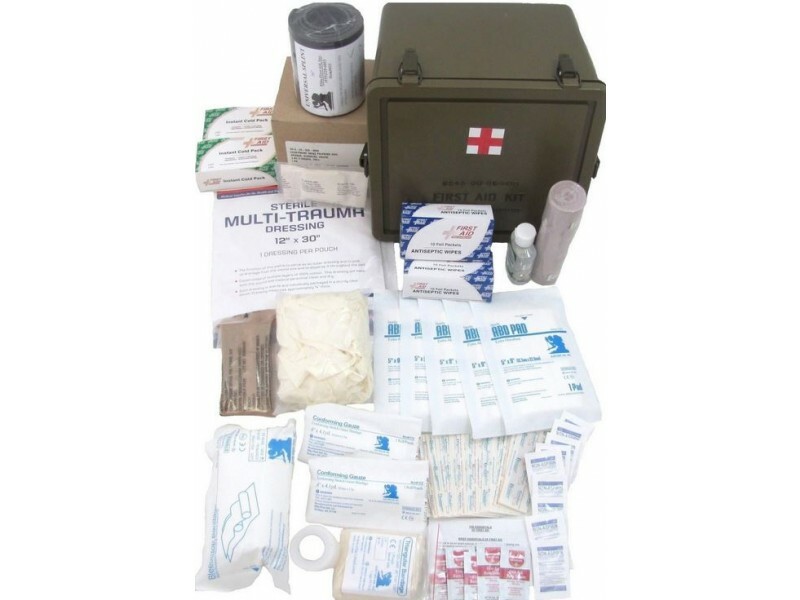 This Elite Large General Purpose First Aid Kit is the perfect medical kit to keep around your home, office, boat or in your automobile. The box is waterproof and equipped with a convenient carry handle with a watertight seal. So it’s also perfect to keep on your boat! Includes bandages, tape, adhesives, antiseptic agents and wipes, pain relievers, latex gloves, first aid creams, burn aid, skin and eye wash, and much more. The lid has a beveled label saying First Aid Kit General Purpose. The handles on the front and back are steel and the creases in the lid and bottom allow for securely stacking boxes without the risk of sliding.